Shop our exclusive collection of beach checks. Whether you love swimming in the ocean, riding the ocean waves or just strolling along the beach you'll find these beach scenes beckon you to buy personal checks. You may feel like you are at the beach every time you write out a personal bank check. With many artistic and scenic ocean views, these checks are for the beach bum in all of us. 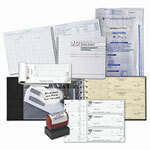 Add beach checkbook covers and matching address labels to top it off. Remember that utterly relaxing feeling you have whenever you have visited the ocean by ordering from this check collection. Keep these personal beach checks in your wallet and they will help you take the stress out of check writing. Beach goers know that flip flops are the best shoes to wear to navigate sand. Whether you are at an ocean pier, a pool or the beach, flip flops are the way to go. Now you can buy your checks with these fun flops on them. Thank you for shopping at Value Checks where you can order checks and get a great bargain!